Very scenic and mostly flat with four bridge crossings for the full and two for the 1/2 marathon. 20 musical acts. 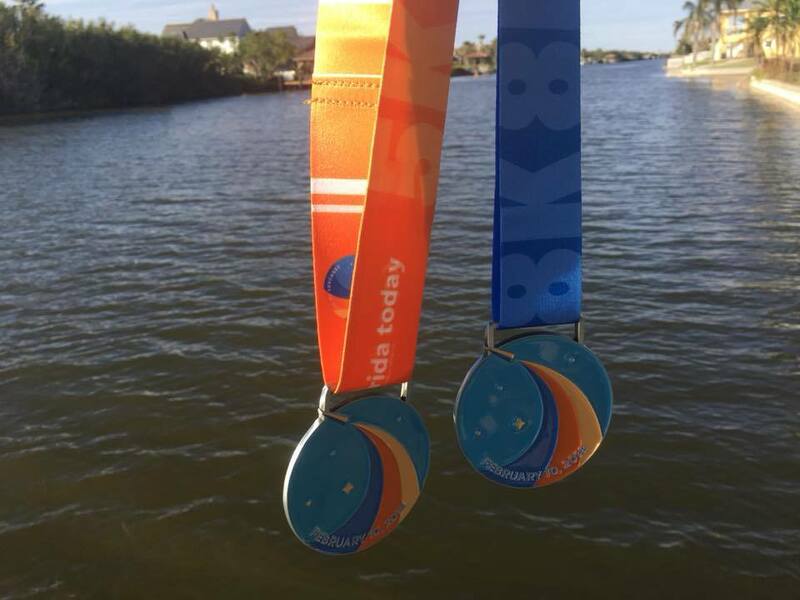 20 miles of flat straight away route for marathoners and 9 for half-marathoners. Potentially ideal running weather. 7 hour time limit for the marathon, and 5 hour time limit for the half marathon. 2019 ALL RESULTS/ LIVE AND CURRENT! 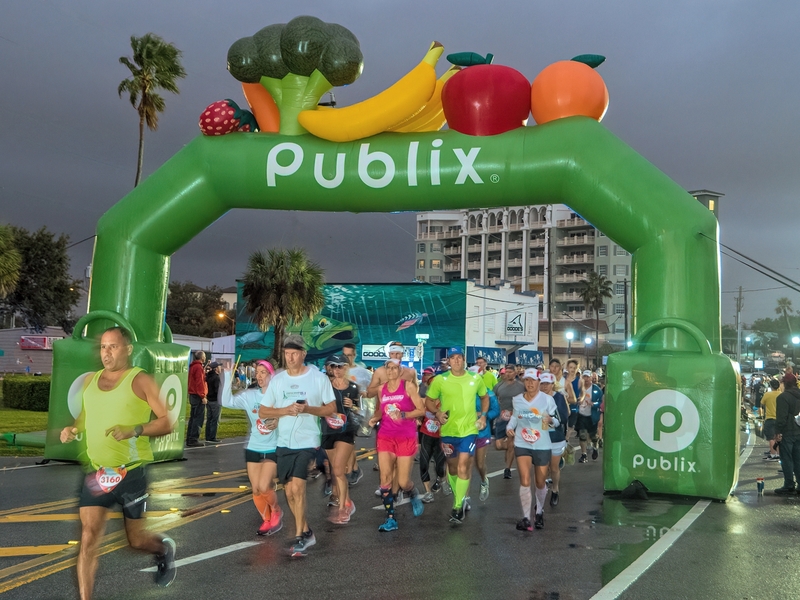 Located in Melbourne on Florida’s Space Coast, between Miami and Jacksonville, east of Orlando and Tampa, the Publix Florida Marathon & 1/2 Marathon makes for a perfect warm winter running destination for runners of all ages and levels. It is held a month after the Disney Marathon. Like a Rock-n-Roll marathon, our event includes up to 20 musical acts along the course of the half and full marathon and half a dozen on the routes of the 5-k. It is a walker and headphones-friendly event with a seven hour time limit on the Marathon course. Half Marathoners have 5 hours to complete the event. A very scenic route awaits and includes four bridge crossings for the full and two for the half-marathon. The course twice takes marathoners to the beach side barrier island and back to the mainland before concluding at the riverfront Front Street Park in downtown Melbourne. The awards ceremony follows with a party featuring yet another live band. We compost, Recycle, Reuse and are one of the worlds most sustainable running and endurance events. PERIOD. Packet pick up will be all day on Saturday, February 1. A Health and Fitness expo will also be held at the same times. Make sure to stop by and check out all the awesome vendors! Sunday packet pickup will be available from 5:00am to 5:45am underneath the gazebo at front street park. Hard close at 5:45am. NEW WATER STOP INFO: CLIF SHOTS CAN BE FOUND AT WATER STOP 3 (BALLARD PARK) & WATER STOP 8 (RIVERSIDE DR/RIVER OAKS ST). MEDICAL CAN BE FOUND ON EAU GALLIE CAUSEWAY BY THE RELAY EXCHANGE POINT (6.55 MILES) AND AT FRONT STREET PARK. 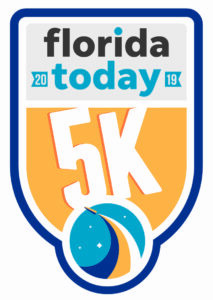 Introducing our Sunday, February 10, 2018 Florida Today 5k Finisher medals featuring the brand new Florida Today logo!! START AND FINISH AREAS AT MELBOURNES BEAUTIFUL RIVERSIDE FRONT STREET PARK!